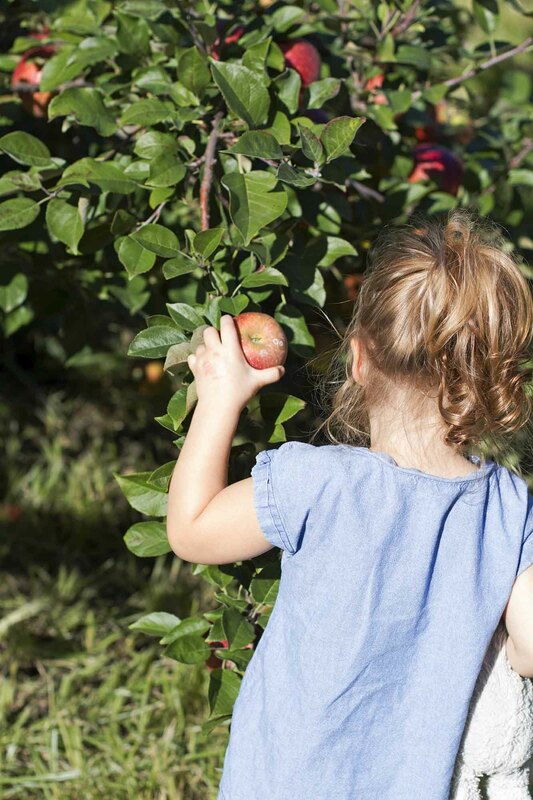 Our annual trip to the apple orchard is officially in the books for 2016! Our fridge is now half full with apples that I have big plans for (if Avery and I don’t snack on all of them first because you guys, straight-from-the-orchard apples are TOO GOOD) — apple pie, apple crisp, apple pancakes, apple oatmeal, baked apples, apples with pork chops, the list goes on. Forget pumpkin — I’m all about the apple right now. 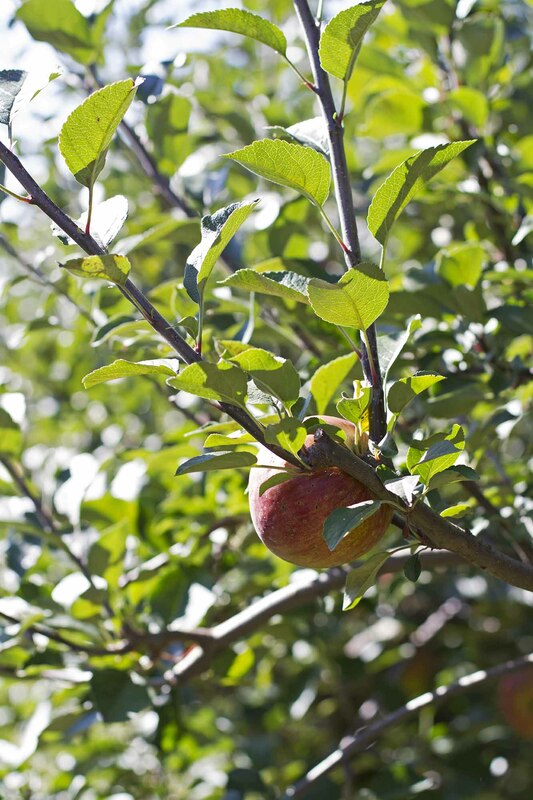 We spent a sunny Saturday here in Minnesota picking Haralsons and Honeycrisps from the trees at Afton Apple Orchard and I snapped a few pics, if you’d like to see. 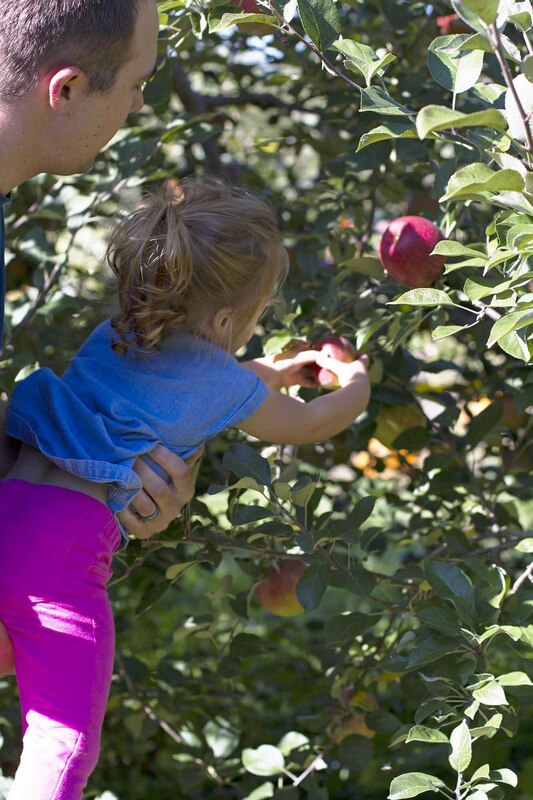 If you recall our very first trip with Avery to the apple orchard in 2014, she was but a wee half-pint and we couldn’t even pick apples off of the trees (major bummer). 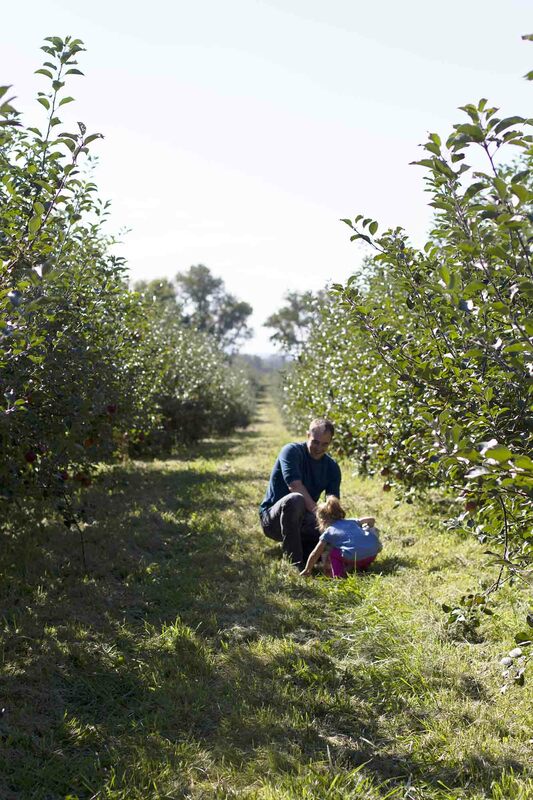 So this year, I did my research and we found Afton Apple Orchard, which not only lets you pick your own apples but they also have a hay ride and a corn maze and a gigantic playground with hay bales and towers made of tires and swing sets and pretty much anything and everything a toddler could ever dream of having the chance to climb on. 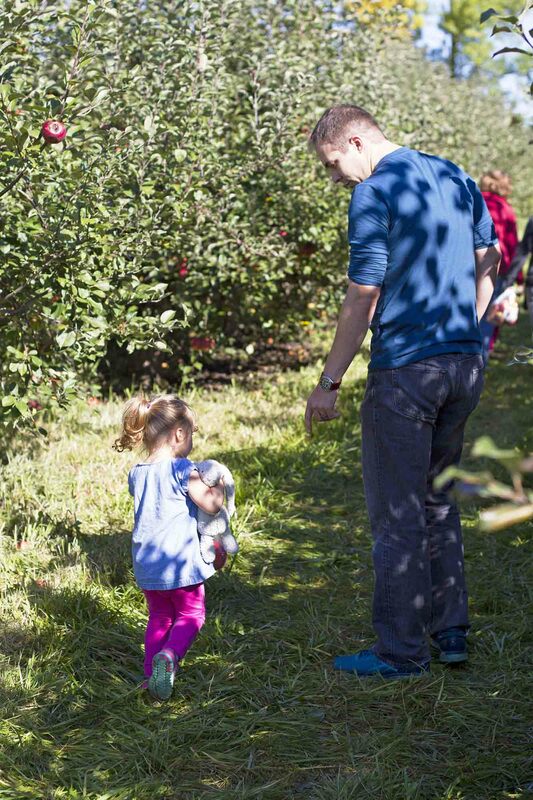 Of course, our biggest goal was to pick some apples, so we didn’t get to spend too much time outside of the orchard itself (and holy moly does it get crowded quickly on a Saturday morning in October, WHO KNEW). 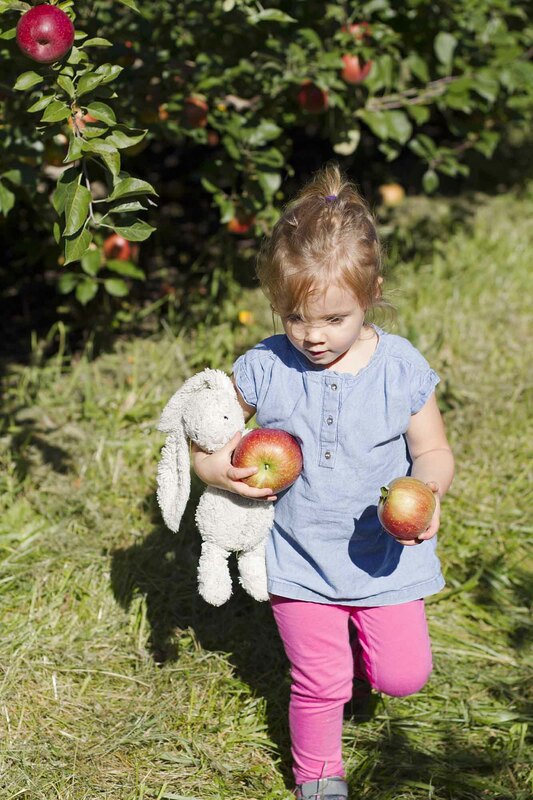 And picked apples we did. 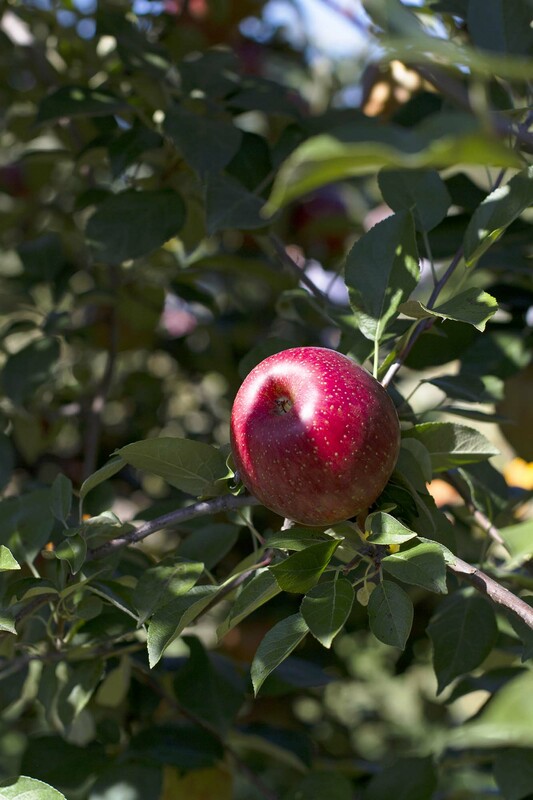 We had the opportunity to pick Haralsons, Honeycrisps, McIntosh, Cortland and Sweet16 varieties, but I had my heart totally set on the Haralsons. They’re sweet and tart and perfect for baking. 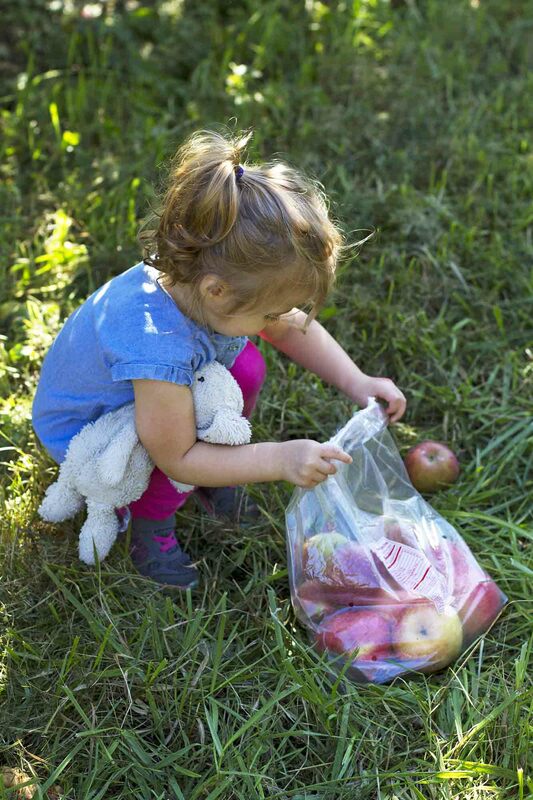 I nabbed a few Honeycrisps for snacking, too. 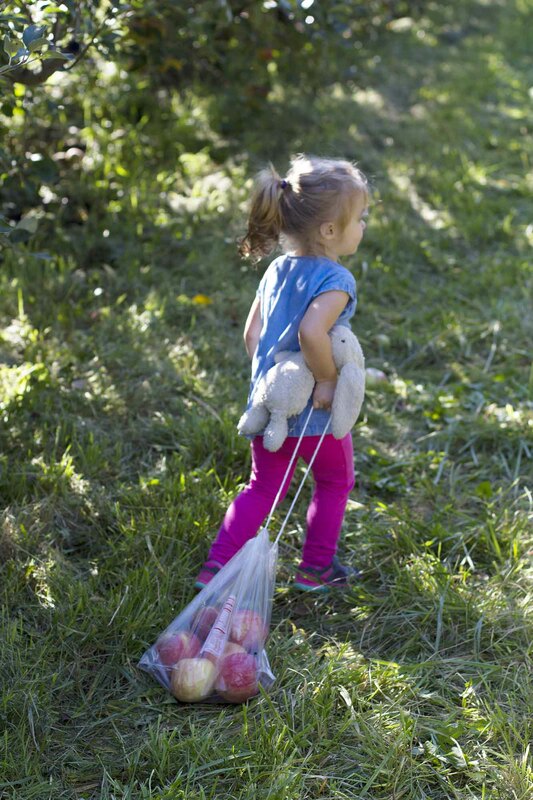 Avery (and her beloved bunny) picked all of the Haralsons for us and did a pretty good job of dragging the bag through the trees, too. 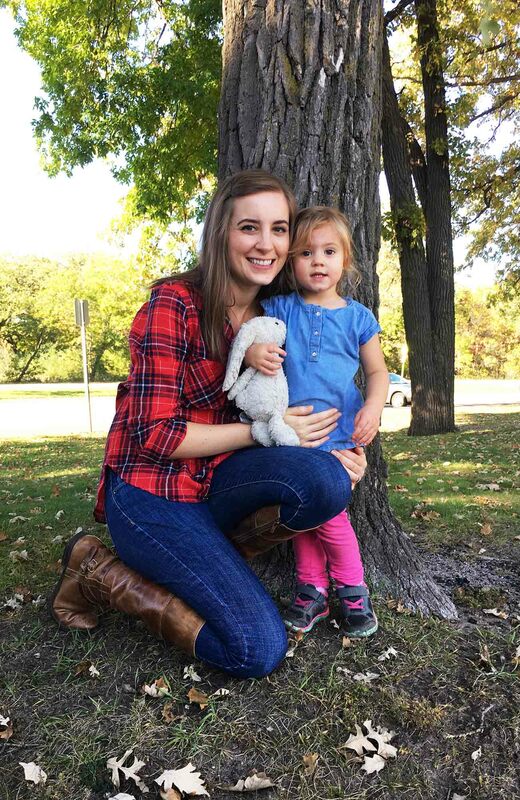 The trip was short and sweet (as most trips are with a ticking time bomb of a toddler before lunchtime) but we made out with several pounds of perfect apples and still had time/energy to enjoy the warm weather that afternoon with a trip to the playground by the lake. All in all, it was a pretty perfect Saturday. I hope your weekend was fall-tastic, too. 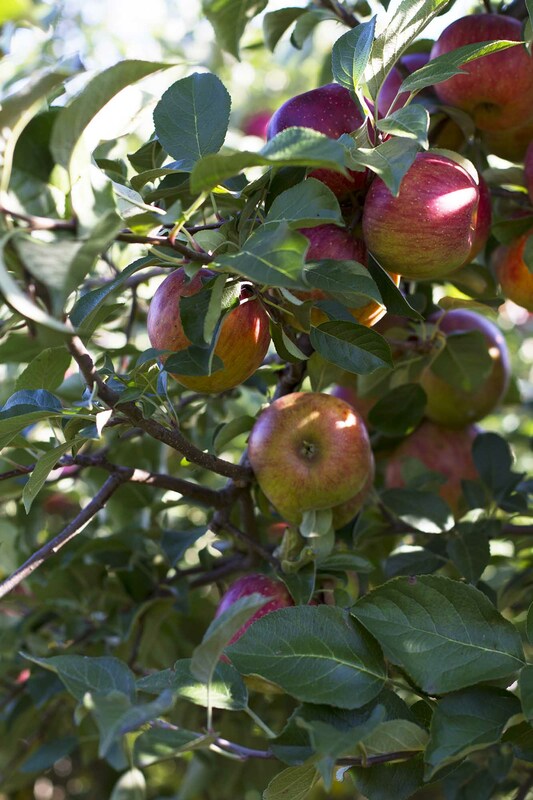 PSST — look early next week for a recipe with these yummy apples we picked! So v. excited to share it with you. WHEN DID SHE GET SO BIG??! She’s a little girl, not a babyyyy anymore! And it looks like you guys had so much fun! Oh ow I would love to find some real good honeycrisps. I got some from the orchard but they were not real pretty this time. I love then but I am not paying $3 a pound for them. I agree forget the pumpkin and bring on the apples. HA!! Kayle — Oh I know, right?? It goes so darn fast. Charlotte — They were almost $3 a pound at this orchard, too! Which is why I only bought like three of them. 🙂 Too good to pass up completely! Avery is just too dang cute!! And her dragging around that bunny just kills me! Looks like a fun trip! Taylor — It goes everywhere! I have to sneak it away to wash it. 😉 Thanks, love! These pictures are just beautiful Stephanie!! And holy cow how Avery has grown!! She’s looking more and more like her Mama every day. Love this!! Avery and the bunny! Aaahhhh! Cuteness overload!